The Dell Lounge will webcast the 2008 PLUG Independent Music Awards live from Terminal 5 in New York 8 p.m. (EST) Thursday, March 6. -- Begun in 2001, the PLUG AWARDS recognize outstanding accomplishments within the independent music community. -- Register now at the Dell Lounge. -- Legendary artists Nick Cave and the Bad Seeds will headline, and the show is hosted by comedian Patton Oswalt. -- Other featured performers include St. Vincent, Jose Gonzalez and Dizzee Rascal. -- Indie music fans and aficionados voted online for nominees in 29 music and media categories. Voting closed Feb. 15, and the winners will be announced at the awards ceremony. -- Dell's presence at the PLUG AWARDS celebrates the personal computer as an enabler of creating, discovering, sharing and influencing music, and enhancing an entertainment lifestyle. -- Additional online buzz will spread through a Dell-sponsored blogger pit at the event. 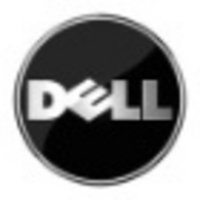 Dell Inc. (NASDAQ:DELL) listens to customers and delivers innovative technology and services they trust and value. Uniquely enabled by its direct business model, Dell is a leading global systems and services company and No. 34 on the Fortune 500. For more information, visit http://www.dell.com, or to communicate directly with Dell via a variety of online channels, go to http://www.dell.com/conversations. To get Dell news direct, visit http://www.dell.com/RSS.